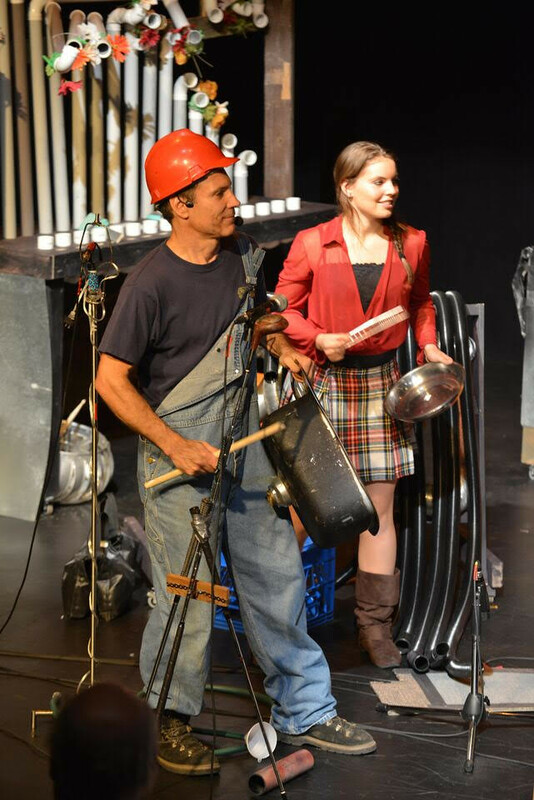 Paul Snider is the production's creator and composer who includes catchy songs and leads 12 local musicians who have their own junkyard masterpieces. This production was recently named one of the 10 hottest art shows in November by Vancity Buzz and I think it would be a fantastic date night idea! 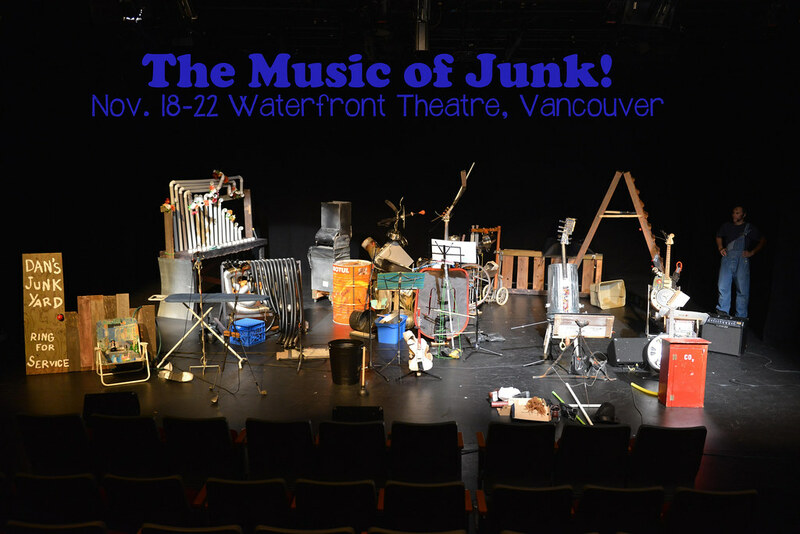 Junk becomes a musical treasure in this concert experience, The Music of Junk! and takes place from November 18-22 at the Waterfront Theatre on Granville Island. Make a day of it exploring Granville Island, going out to eat, and then enjoy the show! Tickets are very affordable for kids and you can find the price list here. I looooove musicals!!!! My mom & I went to a few when I was younger - Joseph might top as my favourite! Love musicals!!! Only attended a couple in my lifetime though. Favorite was Les Mis! I love musicals! One of my first dates with Johnny was to see Cats at the QE Theatre. Sounds fun! A bit like Stomp. Yes!! It was on the tip of my tongue...thank you! I have been to a few, but the most memorable ones are Sound of Music at Theatre Under the Stars and Chickens at Pacific Theatre. We took the kids to Charlie Brown last year and loved it! I have been to one but you know what I can't even remember which one is was!! So bad! It was about 7 years ago on the Island. I enjoyed it for sure but for the life of me I can't remember what it was!